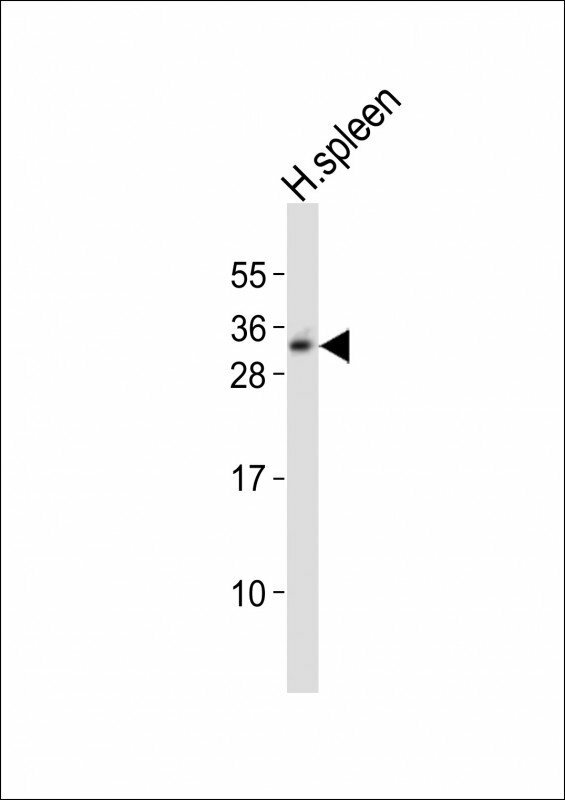 This TCRB antibody is generated from rabbits immunized with a KLH conjugated synthetic peptide between 67-94 amino acids from the Central region of human TCRB. Maintain refrigerated at 2-8 degree C for up to 2 weeks. For long term storage store at -20 degree C in small aliquots to prevent freeze-thaw cycles. Small volumes of anti-TCRB antibody vial(s) may occasionally become entrapped in the seal of the product vial during shipment and storage. If necessary, briefly centrifuge the vial on a tabletop centrifuge to dislodge any liquid in the container`s cap. Certain products may require to ship with dry ice and additional dry ice fee may apply. The receptors on T cells consist of immunoglobulin like integral membrane glycoproteins containing 2 polypeptide subunits, alpha and beta, of similar molecular weight, 40 to 55 kD in the human. Like the immunoglobulins of the B cells, each T cell receptor subunit has, external to the cell membrane, an N terminal variable domain and a C terminal constant domain. T cell receptors recognise foreign antigens which have been processed as small peptides and bound to major histocompatibility complex molecules at the surface of antigen presenting cells. Each T cell receptor is a dimer consisting of one alpha and one beta chain or one delta and one gamma chain. In a single cell, the T cell receptor loci are rearranged and expressed in the order delta, gamma, beta, and alpha. If both delta and gamma rearrangements produce functional chains, the cell expresses delta and gamma. If not, the cell proceeds to rearrange the beta and alpha loci. 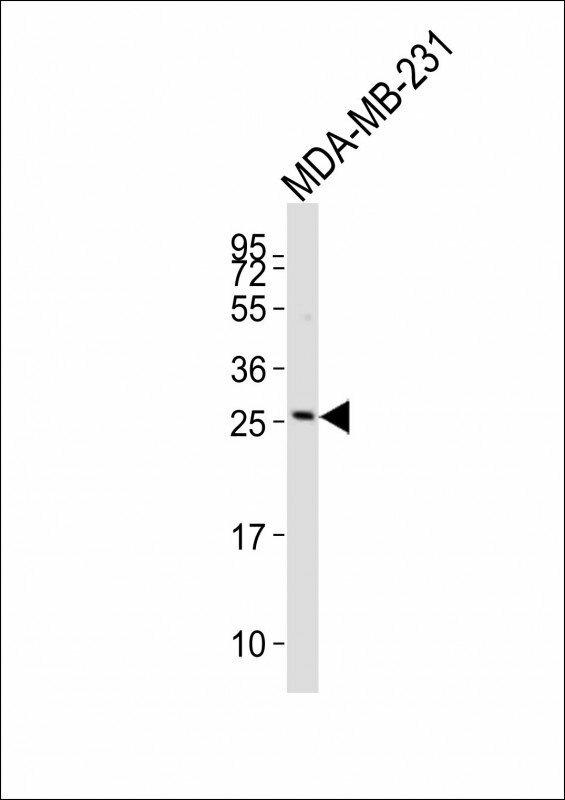 TCRB Antibody (Center) western blot analysis in MDA-MB231,HEK293,Ramos,NCI-H460 cell line lysates (35ug/lane).This demonstrates the TCRB antibody detected the TCRB protein (arrow). 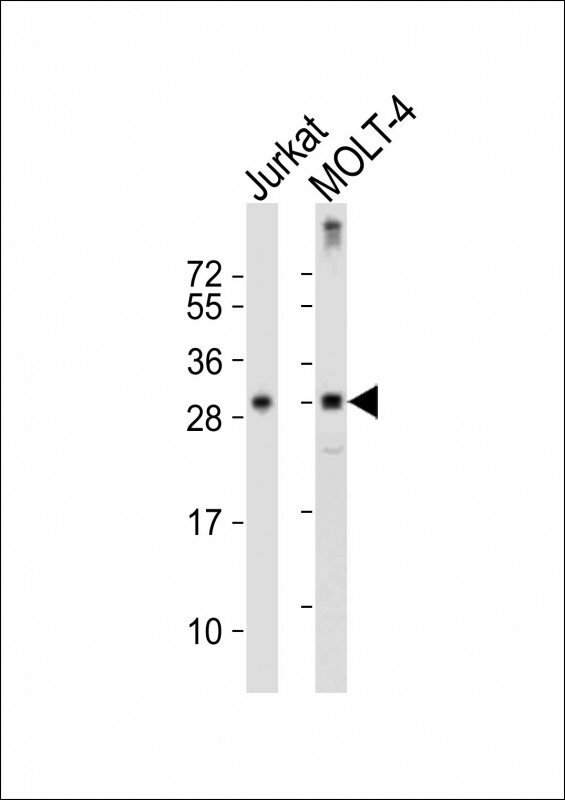 Anti-TCRB Antibody (Center) at 1:2000 dilution + Jurkat whole cell lysate Lysates/proteins at 20ug per lane. 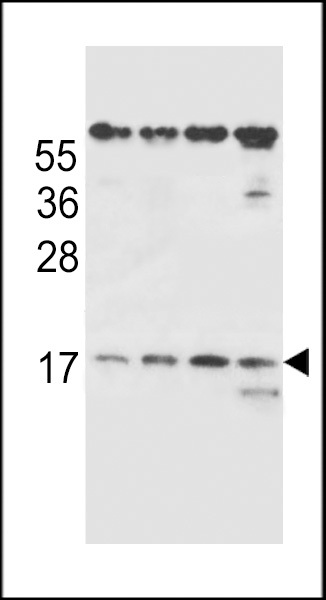 Secondary Goat Anti-Rabbit IgG, (H+L), Peroxidase conjugated at 1/10000 dilution. NCBI/Uniprot data below describe general gene information for TCRB. It may not necessarily be applicable to this product.